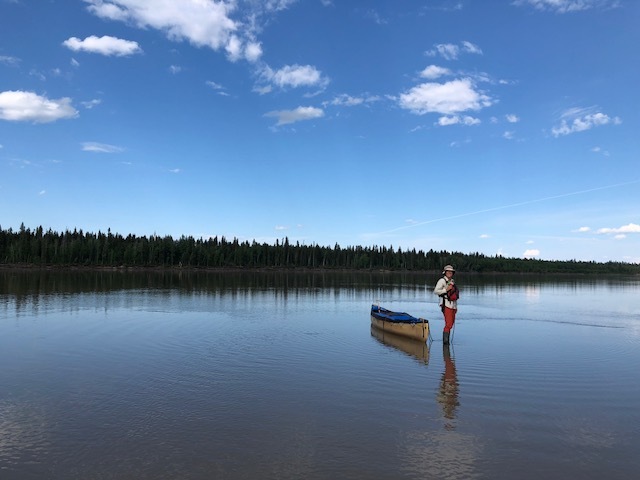 After 1338 kilometres and 39 days, we reached Great Slave Lake last night. It greeted us with some interesting wind and water conditions but then eased allowing us to take some pictures and enjoy a following “sea” almost to Fort Resolution. The Slave River was a great phase and our transition through Fort Smith was quick and smooth thanks to Michel and Collette. 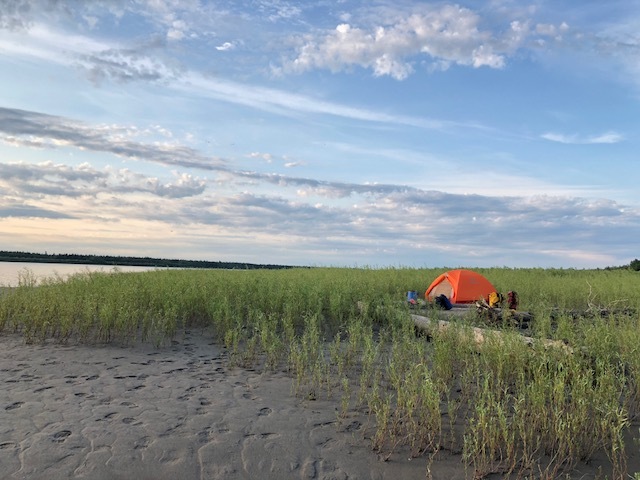 We learned to live sandbar camping as an escape from the bugs. Being out on the middle of the river was also great for both morning and evening light. We are both doing well and getting stronger and more sun kissed by the day. 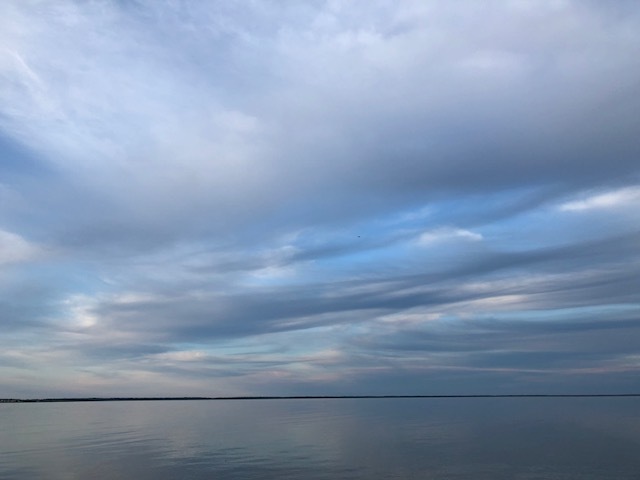 Yesterday was my birthday and we woke to a Newfoundland mauzy day and finished it with a beautiful mercury lake dazzled by a sinking sun. 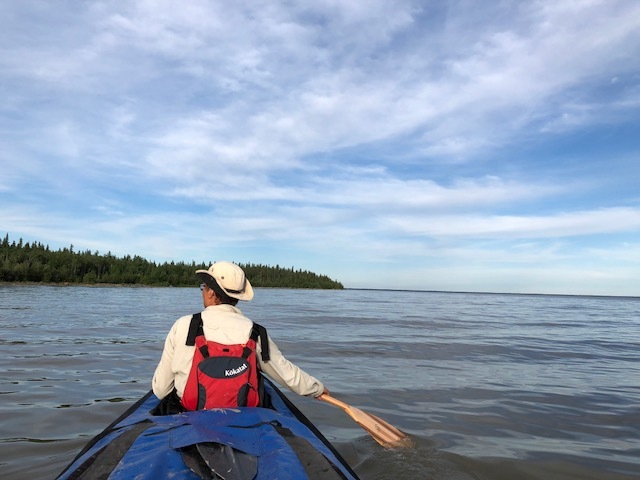 Now we are looking to restock in Fort Resolution and shift to sea kayak thinking as we are now paddling an inland sea, Great Slave Lake, to Hay River and beyond. The lake is very shallow and winds can whip the surface into a frenzy so we must be prepared to sit out a few wind days. The bugs are very hungry in the woods but not to bad out in the breeze. 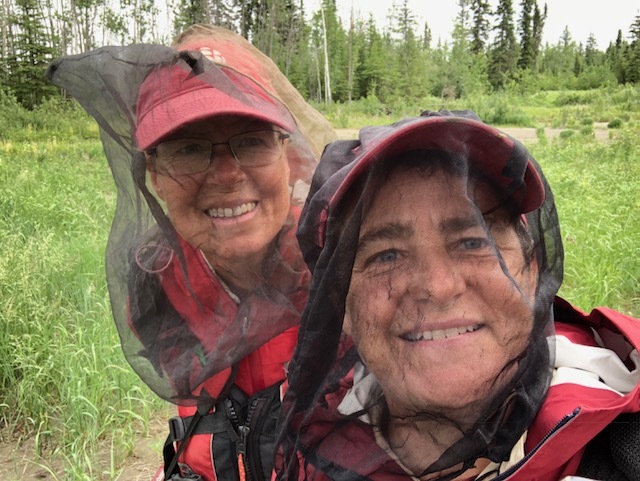 We wear our headnets and bug jackets in the morning and evening but the midday sun keeps them at bay midday (unless you go into the woods). 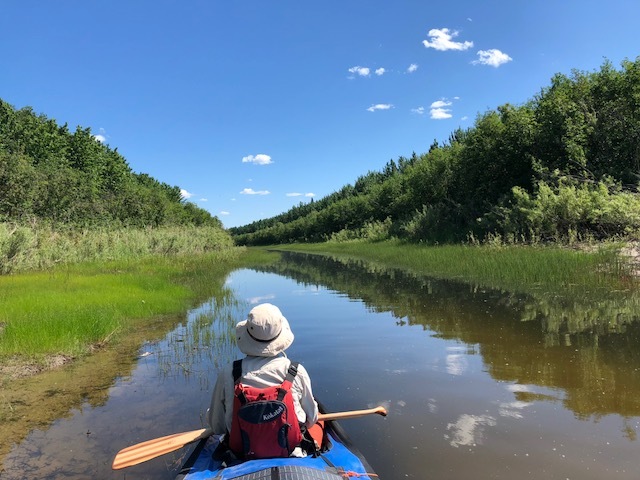 The Slave River gave opportunities for paddling both big river and intimate side channels. We’ve seen three wolves, three bears, two moose, and a gabillion beavers. We are surrounded by birds and they sing to us.